The “Scream” star, who has buffed up for his new role, plays a hunter trying to survive in a wasteland a few hundred years into the future. 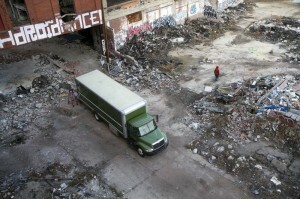 The Packard is a fitting setting, with 3.5-million square feet of industrial waste in a struggling part of Detroit. 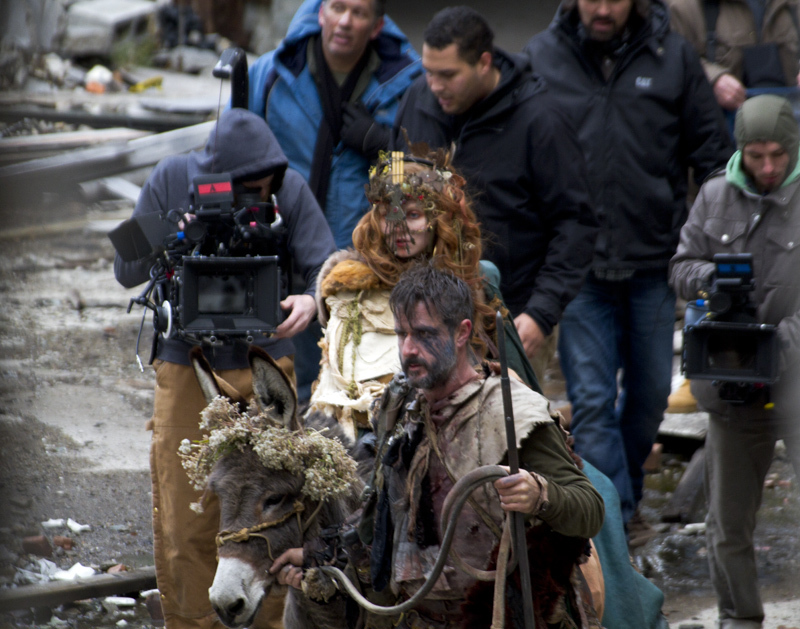 Crews spent the morning filming Arquette and actress Lily Cole, who donned an ornate, primitive headpiece and rode a wreath-wearing donkey. The pair, looking battle-torn and subdued, strolled along the concrete plant with cameras in tow. Crews parked dozens of cars and trucks along the Packard, where they have been filming for the past few days. They’re expected back Saturday. Other abandoned buildings were part of the Detroit shoots, including the old Grand Trunk Storage warehouse at Ferry and St. Aubin. Check out Arquette talking about the film on YouTube. The fim is expected to be released in 2013 or 2014. Check back for more details and behind-the-scenes photos.